Edited and Introduced by John Bergquist, BSI. 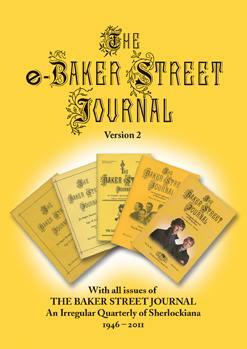 So Painful a Scandal is the sixth title of the multi-volume Baker Street Irregulars Manuscript Series. Although “The Adventure of the Three Students” is not among the most popular of Arthur Conan Doyle’s Sherlock Holmes stories, it has nevertheless attracted much critical debate over the years and thus is worthy of the close examination this volume provides. 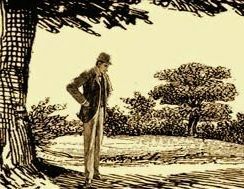 Published by The Baker Street Irregulars with the cooperation of Harvard College’s Houghton Library, this volume presents a facsimile of the original manuscript of “The Three Students” along with a thoroughly annotated typescript and commentary. Edited and introduced by John Bergquist, the volume includes Phillip Bergem’s notes on the manuscript and Randall Stock’s story of the path it has taken to its present home at the Houghton Library. Also included are Michael Eckman’s report on the land of “The Three Students,” Nicholas Utechin’s demolition of the story’s premises, Guy Marriott’s arguments supporting Cambridge as the site of the tale – balanced by Oliver Nicholson’s rejoinder in favor of Oxford, and Andrew Malec’s piece on the story’s American illustrator, Frederic Dorr Steele. The color dust jacket (shown below) reproduces a previously-unpublished Frederic Dorr Steele drawing for “The Three Students,” courtesy of The Arthur Conan Doyle Collection Lancelyn Green Bequest, Portsmouth City Council. A signed, limited-edition version of So Painful a Scandal is part of the BSI’s Harvard Trilogy Boxed Set.